Your Mom is one in a million. Give your Mother a Personalized Mother's Day Tote Bag and be sure to include all of the names of your brothers & sisters as well. This tote bag for mom may hold up to 30 names. Bought this tote for my new daughter-in-law and she started using it immediately. Even before using most of the wedding gifts!! Anybody can be a mother but it takes someone special to your mom! Let her know how much your appreciate everything she does for you when you present her with this useful and unique Personalized Tote Bag. This wonderful Tote Bag makes a great Personalized Mother's Day Gift for her to enjoy everyday. Our collection of Personalize Tote Bags are great for any special lady in your life. 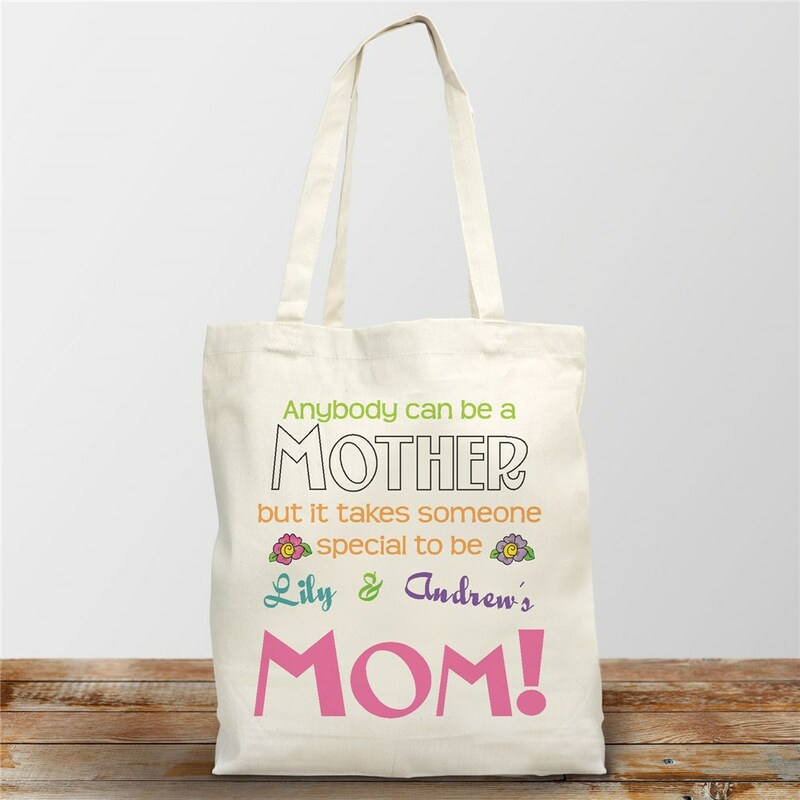 Take a look at our Anybody Can Be Grandmother Tote Bag for your Grandma to enjoy and our Personalized Fun Aunt Tote Bag for your favorite Aunt.